When I was in high school and college, I used a planner all the time. Between school assignments, dance classes, drama practice, extra orchestra rehearsals and just every day life, I needed one to keep everything straight and me sane. When I got married, I didn’t have much to track, so I gave up the planners for a while. However, after I became a parent and started blogging seriously, a planner was once again necessary. Don’t forget to enter the giveaway at the end of this post! For a while I thought I could get away with just using the Google calendars on our phones that were synced together. But, with my husband in full-time ministry, five children, homeschool requirements and blogging deadlines, the phone calendars just weren’t enough. Three years ago I spent money on a very nice planner and I have been in heaven ever since! 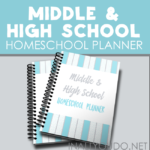 I was finally able to organize and consolidate our homeschool schedules, ministerial life, blogging and personal life all in one place. 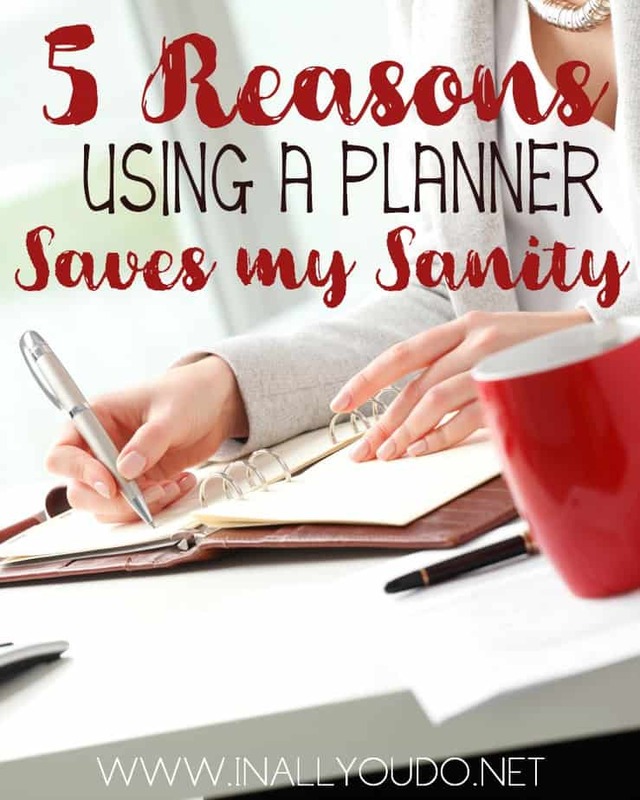 I may still forget something every now and then, because let’s face it – life gets hectic, but the planner has helped me be more organized and focused. If you’ve never used a planner or not been very consistent in its usage, I highly recommend trying one. Find one you like and try it out. I used many printable planners I found online for quite a while, before I found something that worked for me. It was all about finding what worked for me. I love being Organized – As a Type A personality, organization is key in my life. 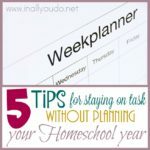 With five children, a husband in full-time ministry, homeschool obligations/field trips/assignments, full-time blogging schedule and well, life, I need organization. I have found that when I’m organized and have a list of what needs to be done and accomplished, I am a much happier and calmer person. Color Coding is Beautiful – A few years ago when we had three kids in soccer, one in basketball and all of our regular obligations, I thought my planner was going to explode. I was seeing everything written out, but it wasn’t clearly labeled. I finally started using colored pens and/or a highlighter to indicate which child the activity was for and what area of life it pertained. It seriously saved us so much confusion and stress. Anyone could look at the planner and see what was going on that week/month. Total life saver! Household Chores are not overlooked – I find as a work-at-home, homeschooling mom life gets hectic and crazy and often times simple chores get overlooked – like cleaning out the gutters. I have lists in my planner that I can add to any weekend we are free to complete these much needed and often overlooked chores. Plus, I can assign them to someone and then put that task out of my mind. 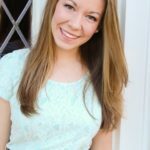 Nothing falls through the cracks – Okay…so, nothing may be a little misleading, but very few things fall through the cracks now that I write it down in my planner. Before I would forget to add the event to our joint calendar on the phone and inevitably something would come up and conflict and we would have to be two places at once or apologize for our error. Now I write everything in the planner as it is scheduled and I can quickly glance at my monthly view and see any potential conflicts. Allows me to plan ahead without conflicts – Just as I like to be organized, I like to plan ahead – at least for my blogging schedule. 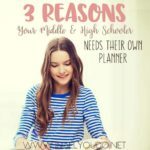 Having a planner allows me to see appointments, field trips, travel plans and more that may conflict with my own work schedule. Using a planner has allowed me to plan ahead and schedule posts in the future when I know we’ll be away from the computer for a while. It has helped me be more present with my family and enjoy life again. 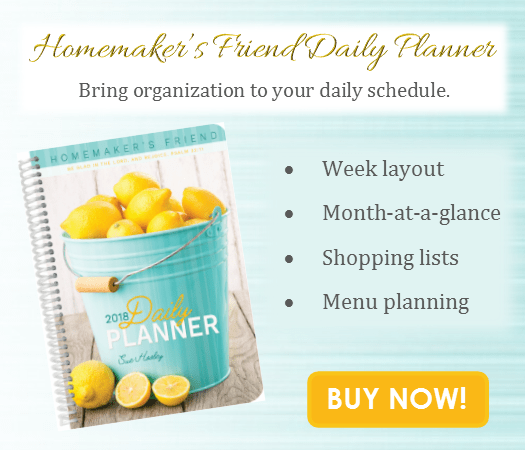 Whether you have a favorite planner or not, I would love to introduce you to The Homemaker’s Friend Daily Planner. Twenty years ago when Sue Hooley was a young homemaker, she read Getting More Done in Less Time by Donna Otto. Otto recommended using a simple daily planner to keep track of duties, appointments and commitments. “It will be your friend for life,” she promised. Hooley began her search for a planner that would help organize her days and duties. But soon realized that her homemaking days did not fit into neat little time slots. It was frustrating to be rocking the baby at 10:00 when the planner said, “Weed flower bed.” So, she started designing her own planner pages to have a more flexible plan. Today, The Homemaker’s Friend Daily Planner is a professional version of those homemade pages of years gone by. Through eleven moves, from one child to six, from toddlers to adult children, this basic, flexible planner kept her on track while allowing changes from one stage to the next. Weekly Planning. This user-friendly section helps you make the most out of your week and day. The “Task List” gives you a visual of what needs to be done and you can divvy out those duties on specific days. Typically, Hooley uses a four-week menu plan, but still writes what is for dinner in the menu block. Complete the most important tasks first for the day or week to boost productivity. Monthly Calendar. This section gives an overall view of events on the horizon. This will help you to be more realistic with weekly planning since I can see at a glance what will be happening over the next few weeks. Yearly Calendar. This section has a place for basic notations. Now with the 52 untitled sections, you have a place to journal or write prayer requests, birthdays, and quotes. Tasks List. 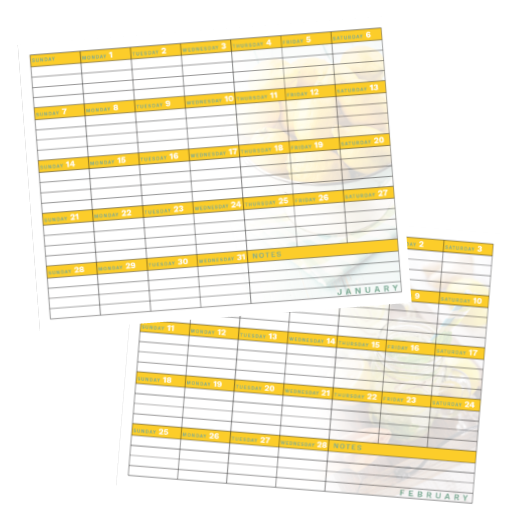 These pages are untitled to give you the freedom to create monthly, bimonthly, or seasonal lists. A visual outline of your completed and uncompleted tasks helps you be more organized and stay focused. Projects and Events. This section is for occasions that need more space for writing like when planning a baby shower or a family gathering. Again, these pages are untitled for flexibility. Information. This section can be used for phone numbers and addresses that are needed temporarily, such as an address for a card shower or the information for the eye specialist. Shopping Lists. These lists are perforated for your convenience. I use the shopping lists several ways- sometimes as comprehensive shopping list and other times as a central location for items needed for an upcoming event, project, or menu. A running shopping list helps you to make the best of a trip to town. Thank you to Homemakers Depot and Sue Hooley for sponsoring this post! Good news! Right now you can take $2.00 off the retail price of $14.99 and snag the downloadable Homemaker’s Daily Planner! But hurry…this offer ends Monday, November 13, 2017 at 11:59pm EST ! USE CODE: IAYD200 at checkout! Want to win one of your own? Enter now for your chance to win! I have tried to create my own paper planner but it never seems to have everything I need. I can so relate to the time slots just not working for a busy mom! Let me just have a space to write down stuff that must get done that day. I’ve been using planners for years and have yet to find the perfect one. This one looks great! It isn’t easy, is it? Good luck! Congratulations!!! You’re the winner! I have emailed you, so be on the lookout! 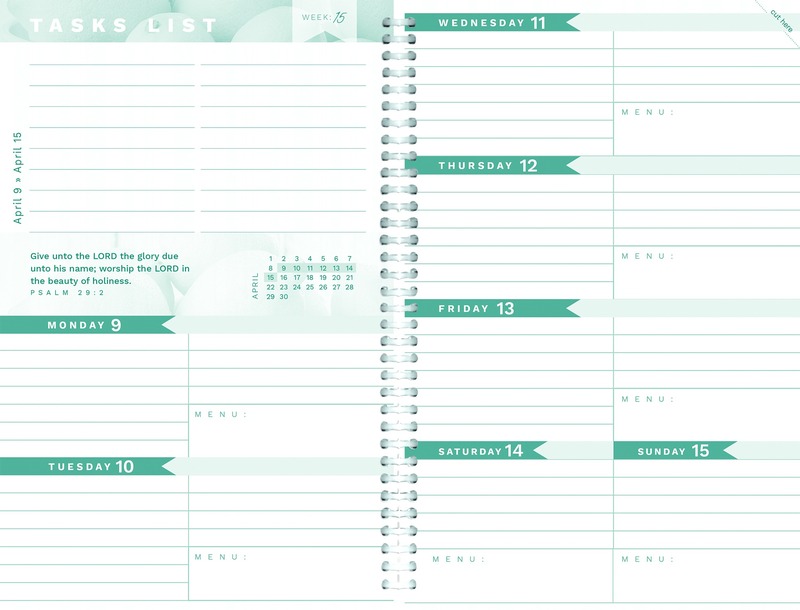 I love a good planner and I would love to have one like this to organize my home! I do not currently use a planner, but I frequently print planning-type pages. And I always have so many lists that I am trying to condense! I have used planners in the past and loved them but am not currently. I can’t afford one at the moment – that’s why winning this one would be amazing. I have used a planner in the past but am not currently. I would love to win this one to help me get back on track.